​Imagine going to an ​MLB game and catching a home run ball from your favorite player. Now, imagine getting to have a toss with said player in the outfield, while using the very same home run ball? 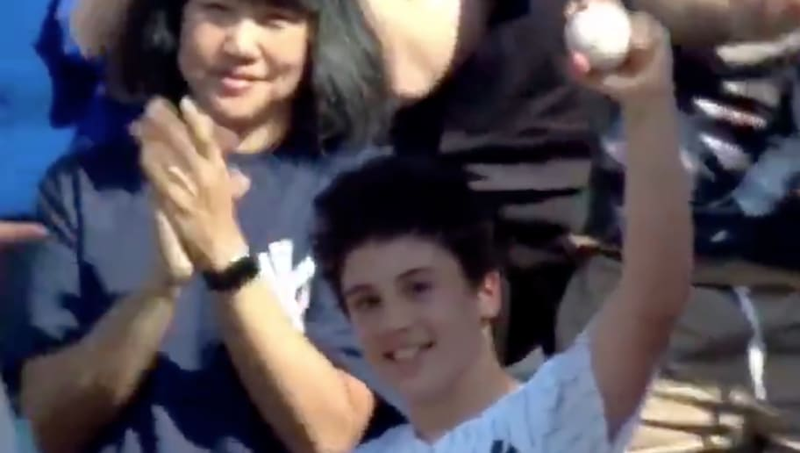 That's what happened to one lucky ​Yankees fan who caught an ​Aaron Judge home run in right field, and later was able to have a catch with the Bronx Bombers' star outfielder. Talk about having one of the best days of your life. It's the polar opposite of this ​Red Sox experience. Judge has been seen on several occasions engaging with Yankees fans, often throwing a ball around with young kids who are seated in the right field stands. This kid just happened to be in possession of Judge's own home run ball, which made the moment even more memorable. This kid will likely never forget this moment with the Yankees star. Most kids dream of catching a foul ball, let alone a home run, from their team's star player. This lucky fan got to take home Judge's home run ball as a souvenir and also play catch with the right fielder.